Now that I am writing these lines, there are many demonstrations in Tunisia that forced Prime Minister Ben Ali and his corrupted government to flee the country but when I visited Tunisia it was just another peaceful place. To my innocent eyes it was an Arab country that kept its beliefs but at the same time it opened the door to the western tourist industry. However the corruption of the politicians and the lack of freedom forced people to demonstrate in the streets and demand their rights. I arrived in the capital Tunis at night and after I found myself accommodation I decided to take a stroll downtown. The usual crowd approached me and tried to sell me anything from women to drugs but I didn’t accept any of their offers. The old Medina looked much more interesting than what they had to offer. I let myself get lost in the small alleyways and as they were deserted I felt like travelling back in time. I even had tea in one of the houses that I was invited in. 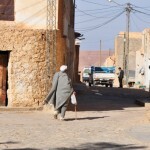 After two days of getting used to the country’s rhythm I headed to Kairouan, a holy city for Tunisians. I didn’t stay there because except for the mosque it didn’t appeal to me. I chose to head south to Matmata. 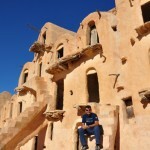 The main sight there was the troglodyte houses which are widely known thanks to the Star War movies by George Lucas. I even stayed in one of them. 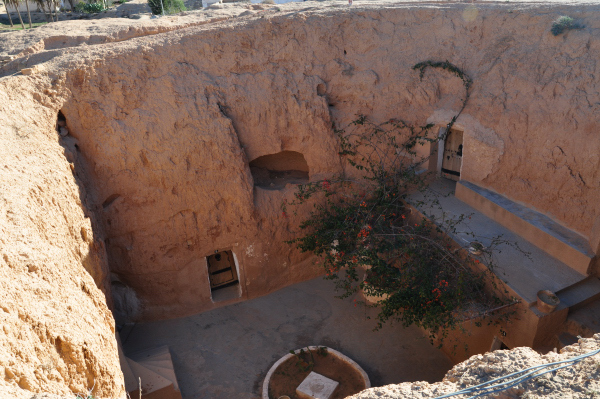 It’s really impressive the way they have dug these houses into the earth with only small openings as doors. They are almost completely underground so the heating isn’t necessary because they are really warm. 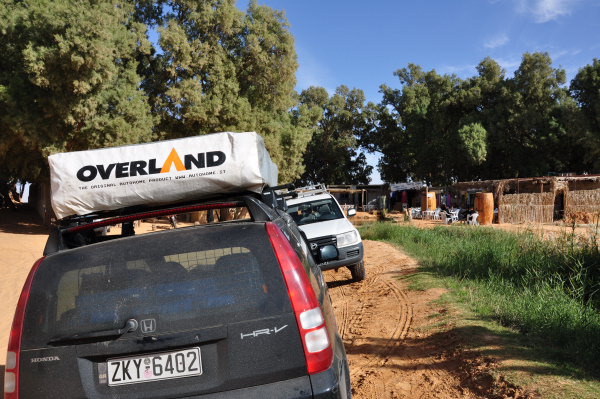 In the area surrounding Matmata I did an off road day trip to Haddej, Toujene, Techine and Tamezret, all small Berber villages with very friendly inhabitants. The road I decided to take turned out to be an oat path. It scared me but Voukefalas one more time proved to be a trustworthy car. 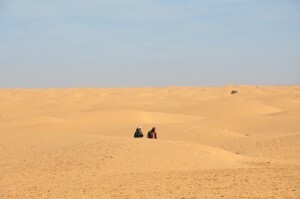 As I was just on the edge of the Sahara I couldn’t hold myself any longer so I left straight for Douz. It’s the gateway and the last big city before the great sand seas. I camped there for tree days. 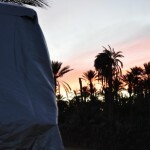 The name of the camping was Desert Club and it was run by the local Automobile Association. 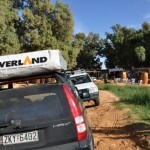 Douz is a really desert city, with the always hospitable Berbers ready to hear your story and share theirs with you. 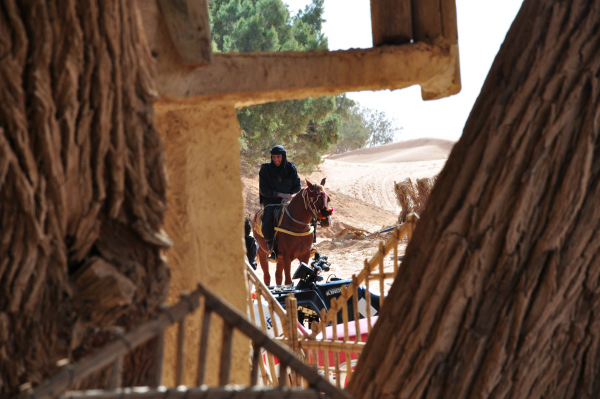 From there I did a desert piste that cut through the dunes to the villages. Anyway, if it wasn’t for that road I would be very disappointed because the rest of Douz looks really touristy and you can hire a camel from almost everywhere. Besides that though, it’s worth staying in the village after the tourist buses leave just to get the real feeling of it. I was informed that the road further south was open to tourists. I must admit that I was tempted and couldn’t stop myself. Down that area a pipe line had been built making the area a military zone and a no-go for tourists. However a new tart road was being constructed. 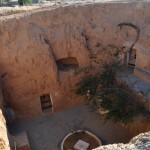 It made the access to the hot springs of Ksar Ghilane possible. I took that road and although still under construction it was doable. After 200 km I was waved down by two Swiss guys. Their camber van had collapsed from battery right in the middle of the desert. Thanks to my jumbo starter after a couple of efforts we managed to get the battery going. 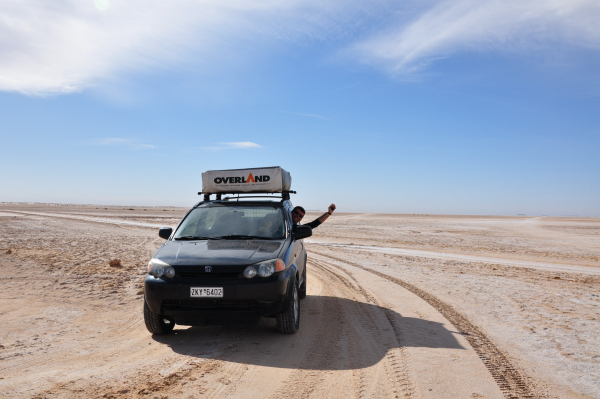 From there on I drove another 100 km and there I was in Ghilane. 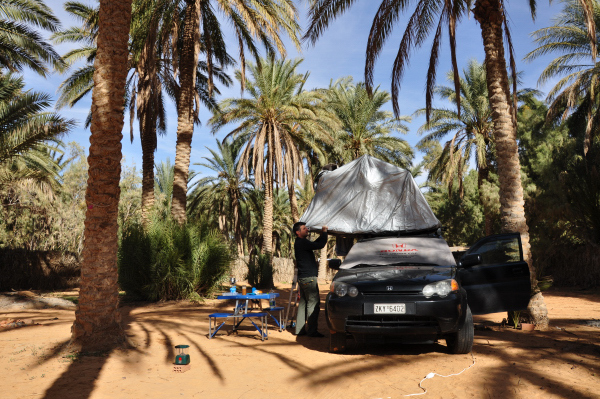 With a very primitive village attached to the oasis and a couple of overlanders’ camps, it gave you a taste of how Tunisia would have been before the mass tourism. After a while I saw the camber van with the Swiss guys arrive so I was sure that they were fine. 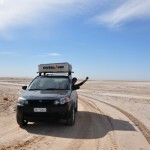 To get stuck at night in the middle of the desert is nobody’s fantasy. I went to find myself a shelter before sundown. I camped next to the hot spring where I met a couple from Germany with their young daughter. With the hot springs as a playground, I hung out with the German family that left their country to live permanently there. They were great people and their young daughter, a really sweet kid, was taking school lessons from her mother since she couldn’t attend school down there. They were a really interesting couple that decided to see life from another point of view. 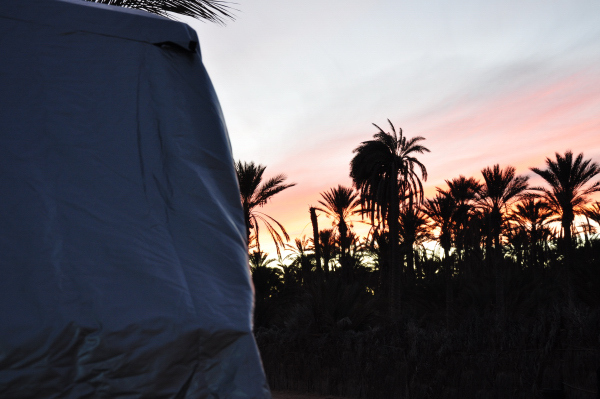 The desert nights from my tent reminded me the nights in Wadi Rum of Jordan. Sweet memories and the hot spring swimming kept me there for a while. 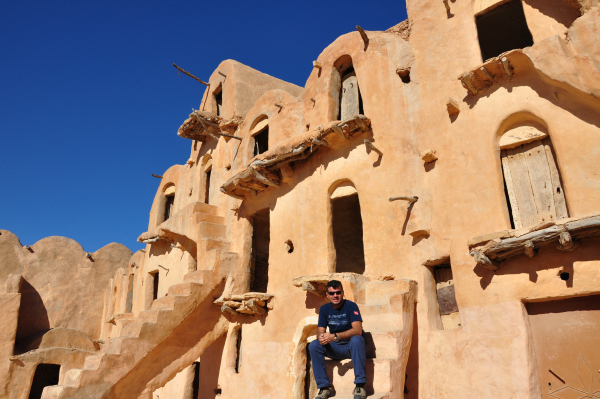 After my desert experience I headed back to Tataouine and the famous Ksour granaries where people stock their weed for their animals and themselves through the winter months. Ouled Debbeb was mostly renovated with a kitsch touch to it but still serving the purpose of understanding the idea of the granary. 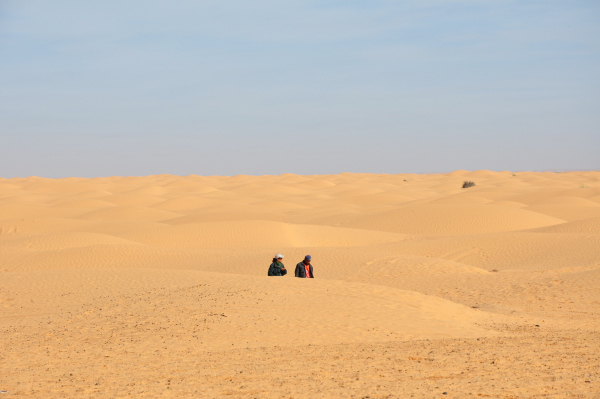 Ouled Sultans, Beni Barka and Mghit were really impressive and untouched by time. The locals use the same storing methods until nowadays. 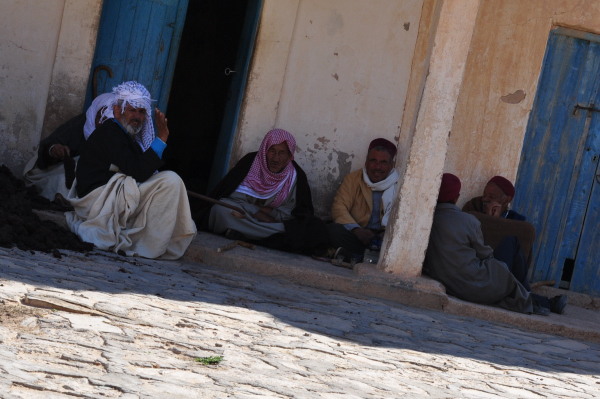 With a little help from a student Ali who barely spoke English, I got more into the actual Berber life. Sweet kid Ali, he even wanted to pay for the tea we had at a nearby coffee shop. My next stop was the Lotus Island of Djerba, widely known from the Odyssey, Homer’s epic poem. Ulysses’ crew almost forgot their way home after they ate lotuses. Don’t try to find any today, there are none left. Big tourist constructions and souvenir shops have taken their place. There are two ways to get to the island. The first one is via the still existing causeway that the Romans built centuries ago. For me this island was like a Greek island in the Aegean with the Italian touch of plazas, surrounded by the walls of an Arabic Medina. In other words, it’s a melt pot of civilization. In the main city and away from the big tourist resorts, I hung around at the local coffee shops and talked with the locals that are always anxious to meet a foreigner. After that and on my way back I spent the last night in Mahdia, a small town right on the edge of a peninsula that stretches into the Mediterranean. The white houses of the old city are really something that catches your eye and your camera lens with the photogenic way they are built. It looked like it would be quite busy during the summer months with the crowds from northern Europe. I spent my last day in Tunisia between El Jem with the third biggest Roman coliseum and the waterfront of Sosse, before I made my way back to Tunis from where I took the boat to Italy. I must admit that Tunisia is touristic even in the winter but this small country always has hidden secrets waiting for the foreigner to explore them and get the best out of them. 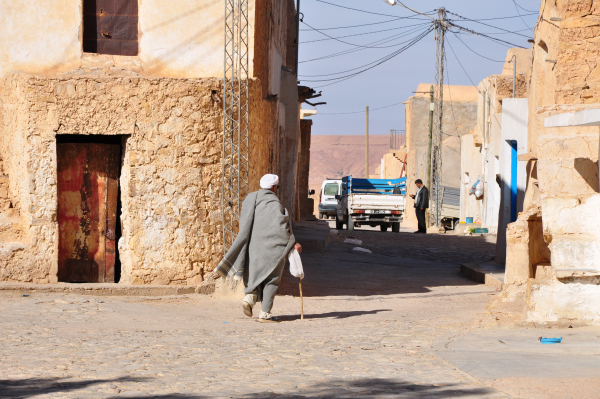 Maybe in the desert or in the small Berber villages but there are definitely many unspoiled parts of the country that still hold the real Tunisia. I hope that the riots will stop for the good of the people and the peace will be restored in this small country.